Kindling Cracker makes it very safe to split firewood. It is a firewood splitter that anyone can use, both young and old. Great for your wood-burning stove, fireplace or barbecue. Easy to bring to the cabin or campsite. Made in Australia from high-quality cast iron. 5 years warranty and 30 day returns. There is no need to swing a sharp axe blade dangerously close to your hands. It's the perfect companion for your backyard stack of firewood, creating perfect kindling for your fireplace, wood-fired oven, sauna or barbecue. The Kindling Cracker is made in a foundry in Australia from high-quality cast-iron that will last you a lifetime. If you don't like using an axe when you split firewood, this is the perfect tool for you! Its award-winning, patented design makes it very easy to split firewood while keeping your hands and fingers safe to! Amazing! Best purchase I've ever done! A truly awesome product! So safe and easy to use. My kids are now splitting firewood by themselves. 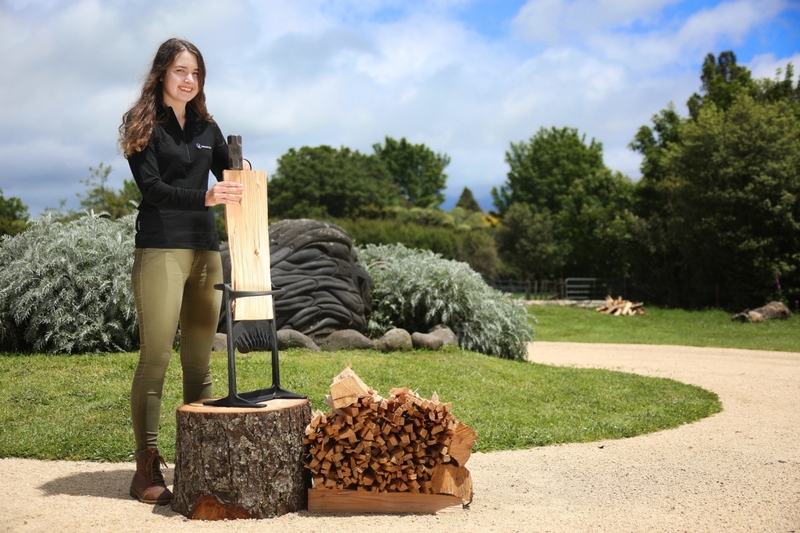 The rest is history and the Kindling Cracker is now an award winning success story helping thousands of people across the globe to split firewood more safely. Order Your Kindling Cracker Today!